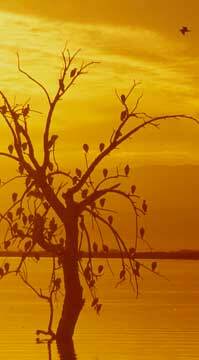 More than 400 species of birds have been documented at the Salton Sea. It is a major stop along the Pacific Flyway, along which birds migrate between Central America and Alaska. The Salton Sea is an accidental lake, created out of a flood in the desert in Southern California in 1905. Since then, the lake has waxed and waned in both size and popularity. Forty years ago, California’s Salton Sea was a popular destination. Resort towns dotted its shores, offering fishing, boating, swimming and waterskiing: The glitterati of nearby San Diego and Los Angeles flocked there for vacations. 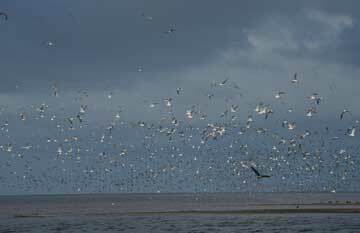 The lake was teeming with life, making it attractive to birds migrating between Central America and Alaska along the Pacific Flyway. Though all but one species of fish have since disappeared, birds continue to frequent the lake in tremendous numbers. More than 400 species of birds have been documented at and around the Salton Sea, the second-highest count in the United States. Some 270 species use the area regularly. Today, however, the Salton Sea is often described as “dying,” fueled by sensational stories of massive fish-kills and bird deaths. In Salt Dreams, William de Buys wrote, “In low places, consequences collect.” Some 140 kilometers northeast of San Diego, Calif., the Salton Sea lies in one of the lowest places in North America — its bed is almost 85 meters below sea level. This shallow, largely unknown terminal lake collects and concentrates the biological and chemical remnants of the Colorado River. Little more than a century old, the Salton Sea has come to a crossroads, its future clouded by the certainty of diminishing inflows, the impacts of climate change and the challenges posed by its tremendous scale. After decades of growing concerns as the health of the lake has deteriorated, California is finally starting to move forward with plans to save the great inland sea. The Salton Sea lies in the northern arm of the Colorado River Delta, atop sediments more than a kilometer deep. The lakebed has filled and dried many times over the centuries as the river meandered through its delta. Some 30 million years ago, the Gulf of California extended another 240 kilometers northwest, close to present-day Indio, Calif. The Colorado River’s heavy sediment load, eroded from the Grand and Glen canyons and numerous other canyons and washes, slowly filled in the uppermost part of the gulf. The river drifted across this delta, periodically flowing into a terminal lake to the north known as Lake Cahuilla, eventually meandering south again to flow into the gulf. As described by Godfrey Sykes and by Aldo Leopold, the delta was a lush, lazy place, where the river was in no hurry to meet the ocean. In early 1905, the river unexpectedly flooded, tearing through an unprotected irrigation ditch cut into its right bank and scouring out a deep channel now known as the New River, which flowed north to fill the low place now known as the Salton Sea. The fast-rising lake flooded salt works, small towns and early attempts to irrigate the desert. After 18 months of Herculean effort, the river was tamed and forced back into its old channel. The new lake began to shrink, but only briefly. As thousands and thousands of hectares of lands nearby were irrigated with Colorado River water, the lake again began to rise, filling with the runoff from these fields. In essence, a substantial portion of the Colorado River still flows into the former delta. But instead of meandering slowly through green lagoons, it now runs through canals and headgates, across fields of alfalfa and other crops, eventually draining into the Salton Sea. 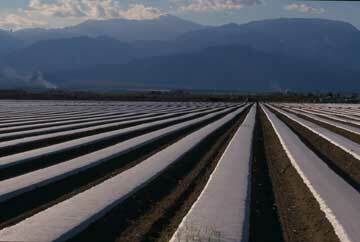 Drainage from farming in the Imperial and Coachella valleys supplies the Salton Sea with water and nutrients. This agricultural runoff feeds the lake’s hyper-productivity, but without it, the Salton Sea would quickly disappear. Covering some 930 square kilometers (93,000 hectares), stretching 55 kilometers between the irrigated fields of the Coachella and Imperial valleys, the Salton Sea is an incongruous saline lake in the midst of the Colorado Desert. Temperatures in this desert exceed 100 degrees Fahrenheit (38 degrees Celsius) for more than 110 days each year. Precipitation averages less than eight centimeters a year, but the lake’s broad surface loses some 175 centimeters a year due to evaporation. Irrigation runoff that is equivalent to roughly one-twelfth of the average flow of the Colorado River offsets this deficit. Such inflows maintain a dynamic equilibrium driven by irrigation schedules and seasonal evaporation rates — until recently, that is. In 2003, Southern California water agencies signed an agreement transferring water from irrigators in the Imperial Valley to users in San Diego and Coachella. In essence, the agreement pays farmers and the irrigation district to use their water more efficiently, transferring the conserved water. This efficiency, however, comes directly at the expense of the lake. Ultimately, due to the transfer and various other changes, inflows to the lake are projected to decline by more than 40 percent in the next 20 to 30 years. People sometimes refer to the Salton Sea as “dead” or “dying,” but in reality, the opposite is true. The fertilizers running off the fields of the Imperial Valley fuel a hyper-productive system, where waters may be choked by thriving algae and by the toxic byproducts of bacteria feeding in the lake’s murky depths. Rising salinity is further exacerbating the problem for life in the lake. Over the past 40 years, rising salinity has driven dire predictions that the lake’s demise was but a decade away. (It hasn’t happened yet.) Three and a half million to 4 million tons of salts enter the lake each year, salts carried by the Colorado River from ancient seafloors now high in the Rockies and concentrated via evaporation from fields and reservoirs and the lake itself. From the Colorado River’s source, salinity rises more than eightfold by the time the river’s waters enter the lake. The lake collects these salts, its salinity already one-third higher than the ocean’s and rising inexorably. Already, various fish, introduced from the gulf in the 1950s, have all but disappeared in the past several years. Only a hybrid tilapia, a freshwater species that has demonstrated a remarkable adaptability to low levels of dissolved oxygen and high salinity, has managed to thrive in the lake. Yet by 2020, if unchecked, the lake will be too salty for even the resilient tilapia. Within the next 30 years, continued declining inflows will cause salinity to quadruple, the volume of the Salton Sea to fall by 70 percent, and the lake’s surface area to decline by more than a third. Under the Southern California water transfer agreement, change would be gradual until 2017, as “mitigation water” is delivered to the lake. Starting in 2018, however, that mitigation water will no longer be delivered to the lake and change will occur very rapidly, exceeding the ability of existing species to adapt and the ability of other, more salt-tolerant species to colonize this rapidly changing system. The existing ecosystem would quickly collapse as the fish and prey base perishes due to high salinity and very low concentrations of dissolved oxygen. Most birds would abandon the lake, their food gone and their roosting and breeding sites exposed to land-based predators as the lake shrinks. For many birds, there are few other places left to go, considering California has lost some 95 percent of its historic wetlands. Birds and aquatic species would not be the only ones to suffer from the unmanaged decline of the Salton Sea. Air quality in the Imperial and Coachella valleys bordering the lake already fails to meet state and federal standards. Hospitalization rates for childhood asthma in the Imperial Valley are three times higher than the state average. The shrinking lake could expose some 350 square kilometers (35,000 hectares) of lakebed, greatly increasing the volume of very fine, unhealthy dust blowing throughout the region. Two dusty lakebeds offer grim examples of the potential threat to human health of the shrinking Salton Sea. Owens (Dry) Lake, some 385 kilometers northeast of the Salton Sea, dried 80 years ago as Los Angeles diverted the lake’s tributaries to quench the thirst of the growing San Fernando Valley (a water grab made famous by the movie Chinatown). As a result, by the end of this year, Los Angeles will have spent more than $500 million in an effort to control the worst dust emissions in the country. Dust storms blowing off the dry lakebed can be seen from space, and cause widespread respiratory problems in people living downwind. In fact, dust blown off of the Owens lakebed can exceed regulatory standards more than 80 kilometers away. Wind-generated releases of hydrogen sulfide and ammonia that accumulate on the lakebed and infrequent low winter temperatures periodically cause massive fish dieoffs. Though many species inhabited the lake 50 years ago, today, only one hardy species of fish still survives, a hybrid tilapia. Although conditions at Owens Lake bode ill for those living downwind of the Salton Sea, they do not begin to compare to the devastation at the Aral Sea in Central Asia. Fewer than 50 years ago, the Aral Sea was the fourth largest lake in the world. The diversion of 95 percent of its inflows caused the Aral Sea’s surface area to shrink by more than 75 percent, its elevation plummeting to such an extent that it is now effectively three distinct bodies of water. Its large fishing industry collapsed as salinity in the largest of the remaining lakes increased tenfold, while the southern shoreline has receded more than 145 kilometers from its once-active ports. The collapse of the Aral Sea has exposed about 52,000 square kilometers (5.2 million hectares) of lakebed. Massive dust and salt storms have led to some of the world’s highest respiratory-related mortality rates. Ironically, many of the fields irrigated with the water diverted from the Aral Sea are slowly being poisoned by the salts and other toxic materials blown off the lakebed. Yet the Aral Sea also offers reason for optimism. A recently constructed eight-mile dike has aided efforts to restore a part of the Aral Sea, raising the surface elevation of the north lake and facilitating management of water quality. Given the loss of inflows, the key has been to create a flow-through system — in which salts and other contaminants pass through the lake to a downstream water body — for the lake, allowing for management of a portion of the lake while using the remainder as a sump for salts and contaminants. People first began to propose ways to preserve the Salton Sea 40 years ago. Then, the concept of creating a flow-through system generally involved pumping some water out of the lake, usually to the Pacific Ocean, the Gulf of California or a dry lakebed, or by creating an area within the lake itself where saltier water would concentrate, allowing for management of the salinity and elevation of the remaining lake. Other proposals included building massive desalination plants at the lake. These various proposals never went anywhere. The 2003 Southern California water transfer agreement completely changed the landscape. In light of dramatically reduced inflows, it would no longer be possible to preserve the lake as a whole. (The sheer volume of water and salts that would need to be moved via a pipeline or canal to and from the ocean would entail a project with capital costs exceeding $60 billion, plus millions of dollars each year to pump the water and maintain the facilities.) Given these changes, and the very dynamic nature of the lake, the concept of “restoration” does not apply. Rather, decision-makers face the challenge of determining what kinds of conditions they wish to create within the footprint of the Salton Sea. 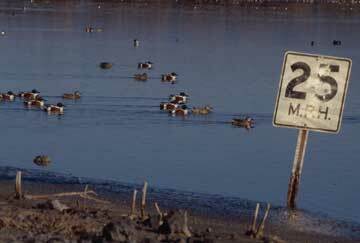 California state legislation adopted in 2003 identified three key objectives for any project related to the Salton Sea: preserve wetlands habitat, avoid negative air quality impacts and protect water quality. To that end, after years of discussion and debate among resource agencies, local governments, irrigation districts, farmers, tribes, conservationists and stakeholders with recreational interests, in late May 2007, the California Resources Agency delivered a “preferred alternative” to the state legislature for consideration. The plan designates 250 square kilometers (62,000 acres) of shallow, saline ponds to maximize habitat for birds and their prey, as well as 84 kilometers of rock and gravel barriers around the perimeter of the lake. These barriers would create a 182-square-kilometer (45,000-acre) horseshoe-shaped lake with roughly ocean-level salinity, to provide recreational and economic development opportunities, as well as habitat for larger fish. The plan would also include extensive water distribution canals for managing air quality. Total cost of the plan at full build-out: $8.9 billion, plus an estimated $142 million annually for operations and maintenance. The plan is largely conceptual; the legislature has yet to approve the design, or even fund the extensive geotechnical surveys that will be required for a project of this scale. It is likely that the final project will include the three key components — shallow, saline habitats, a larger recreational lake and extensive air quality management — though their size and configuration will likely differ from the plan. The relative size of the individual components will be contentious, balancing costs and legislative requirements against the demands expressed by locals for an economic engine for the region. In the short term, there appears to be broad support for the implementation of a comprehensive air quality monitoring network around the lake, and for the construction of eight square kilometers (2,000 acres) of shallow habitats to protect species as the full-scale project is developed, funded, permitted and constructed. In the long term, the huge cost of the plan, especially in the context of other pressing environmental challenges in California and in light of limited state and federal budgets, suggests that the future of the Salton Sea is not assured. Too important to lose, perhaps too expensive to save, protecting the Salton Sea’s amenities will require massive intervention and ongoing management. Failure to act will lead to catastrophic impacts on the birds that rely on its rich waters, and will worsen the health of people in the fast-growing Imperial and Coachella valleys. An effective, well-designed plan could bolster the populations of imperiled species, protect public health, and attract tens of thousands of tourists to play in a cleaner lake’s waters, increasing economic activity in one of the most economically depressed regions in the state. Choosing the right path will require foresight and considerable investment from California and the rest of the nation. 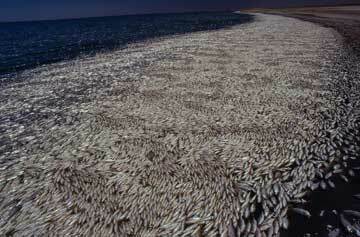 The Salton Sea, a couple of hours northeast of San Diego, Calif., was once teeming with life. The resort towns that sprang up around the lake in the 1950s were billed as the new Palm Springs, complete with fishing, waterskiing and bird-watching. Today, much of what’s left of those resorts is rusted out or falling down. On a positive note, real estate is dirt cheap. “Salton Sea is destined to become one of the nation’s greatest play spots,” land developer C. Roy Hunter once told a news reporter. 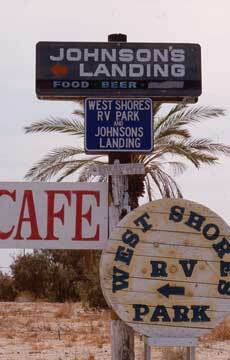 In the 1950s and 1960s, life at the Salton Sea’s thriving resort communities proved Hunter right. Back then, a day at the North Shore Beach and Yacht Club, for instance, could have included a morning of sunbathing on the lake’s sandy shores followed by an afternoon of zooming around the lake’s salty waters on skis or reeling in a hefty, one-meter-long orange mouth corvina, and ending with an evening of starlit dancing at a party attended by Frank Sinatra, the Beach Boys or Jerry Lewis. The glamour promised on Salton Sea postcards from the time didn’t last forever. By the 1970s, flooding caused by storms ruined lakefront real estate, and the rising salinity of the lake damaged fish populations. The communities along the Salton Sea never recovered. Today, on a stroll through the town of Bombay Beach on the lake’s eastern shore, you’re more likely to find a sunken, rusty mobile home on the beach than a luxurious hotel. And instead of people racing around in speed boats, you’ll find the town’s few remaining residents traveling around in electric golf carts because the nearest gas station is half an hour away. Highlighting the lives of the few thousand people who still call the area home is Plagues & Pleasures on the Salton Sea, a zany documentary by filmmakers Chris Metzler and Jeff Springer. The cast of characters in Plagues & Pleasures is as quirky as you’d expect from a movie narrated by John Waters. Among the locals who show the audience what life is like by the lake are Leonard Knight, an artist who created the colorful Salvation Mountain out of old junk as a tribute to Jesus; Hunky Daddy, a Hungarian freedom fighter and Bombay Beach’s unofficial mayor who has a penchant for beer; and Norm Niver, a Salton Sea sushi expert and advocate of restoration. “Most films that have been done about the Salton Sea have focused on the environment and water issues,” Springer said in a press release. “We thought that by showing the human side of the issue … we could do more to save the sea than any wildlife video.” Despite not setting out to tell the environmental tale, the film does give a very good look at the lake’s history and the current issues it faces. To obtain more information on the documentary, including dates and locations of screenings, check out the movie’s Web site at www.saltonseadoc.com. Cohen is a senior associate with the Oakland-based Pacific Institute. He was a member of California’s Salton Sea Advisory Committee and has written extensively on the topic. For more information, please see www.pacinst.org.